It's almost June and that means... Christmas is only 217 days away!! 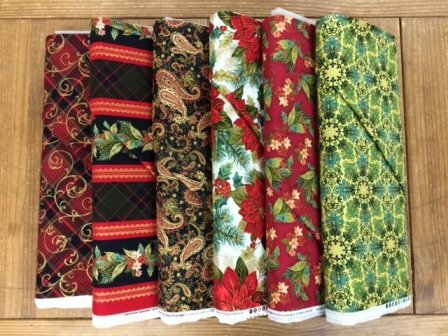 In the quilt shop world, that means Christmas fabric is getting delivered and we are starting to make Christmas samples. Personally, I am bound and determined that this WILL BE the year for giving handmade/homemade gifts. And to my family and friends reading this newsletter, please don't hold me to this!! I do plan on getting started this weekend, so... We will be closed for Memorial Day- Monday, May 25th. Not just so I have sewing time but really to enjoy my family. All the while, remembering the sacrifice of the men and women, in our military, who have given so much that we live in a free country! Here is what is going on at MSQCo in beautiful downtown Bozeman, MT. Fearless Embroidery- Second to last Wed. monthly @ 10:30 am. 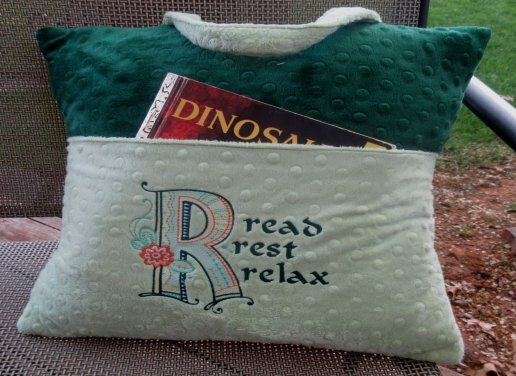 This tutorial based class is great for those wanting to learn more about embroidery. This class is ideal for all brands of embroidery machines! Be sure to bring a flash drive to class to download your materials and notes. Cost: $10/session. Software Inspirations- Last Wed. monthly @ 12:30 pm. This class features Bernina Software 7. Each lesson helps you to dive deeper into using the software. Bring your computer and flash drive and stay to play after the lesson! Cost: $10/session. FINISH WHAT YOU STARTED CLUB- 12 pm to 6 pm.- On Friday of each month we have staff available in our classroom to help you finish those projects that have been hanging over your head. Cost: $10 for classroom use and $15 if you need to use our machine. 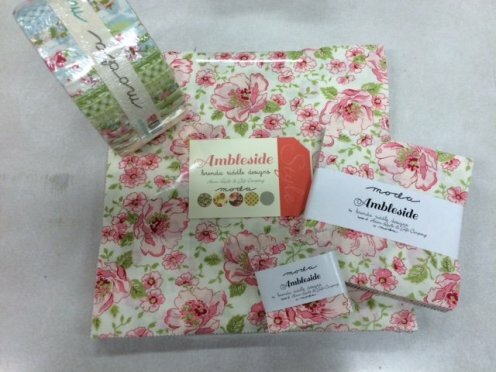 Ambleside - available in layer cakes, jellyrolls, charms, and mini-charms. Selected fabrics also available on the bolt. 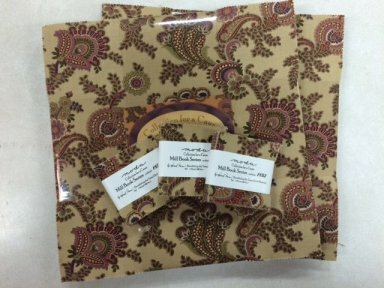 Sticks and Stones (Batik) - available in layer cakes, jellyrolls, bundles, and a 108" coordinating wideback. 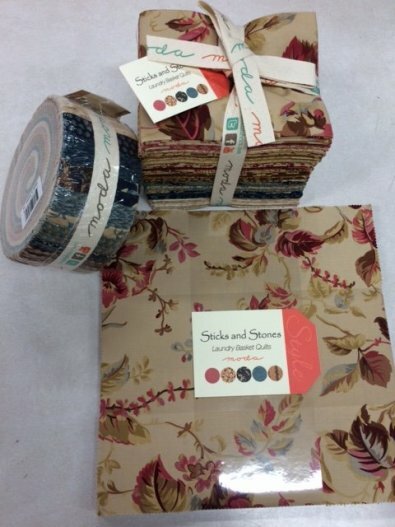 Sticks and Stones (Regular Cotton) - available in layer cakes, jellyrolls, and bundles. Reel Time - a modern aesthetic for the film lovers in our lives! Available in layer cakes, jellyrolls, charms, and mini-charms. Selected fabrics also available on the bolt. 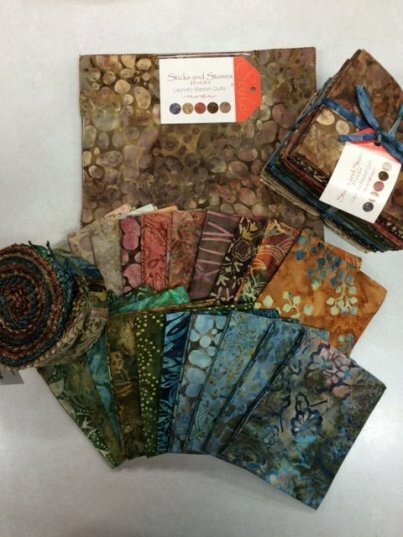 Collection Mill 1892 - A beautiful reproduction fabric for a great cause! Available in layer cakes, mini-charms, and yardage from selected bolts. 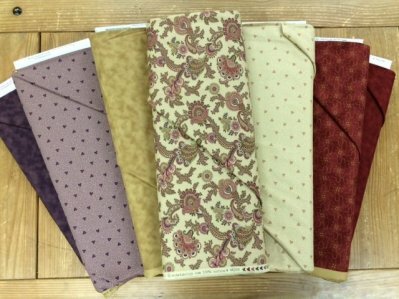 This fabric line benefits the Texas Quilt Museum! Christmas Splendor - available on the bolt in various colorways (multiple colorways shown in photo below). This line also includes a table runner panel and a large tree skirt panel both with lovely gold accents. 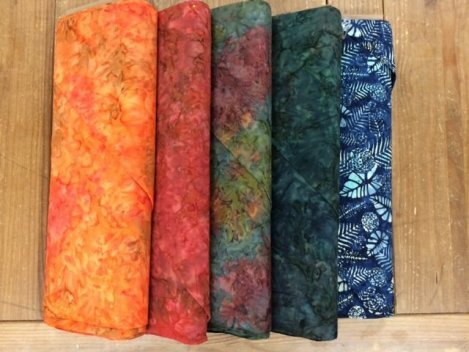 Paradise Batiks - new tropical colored batiks are now in stock on our batik color wall! Selected colors shown below. 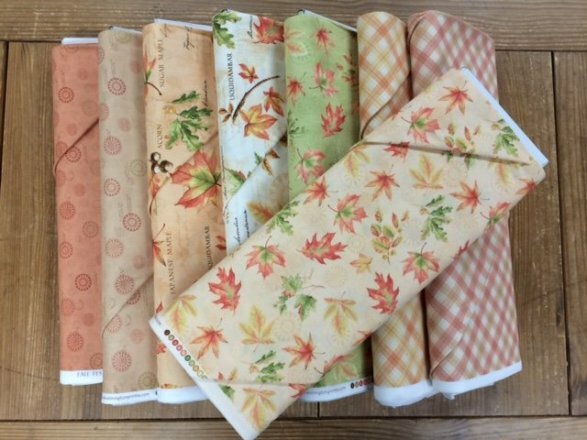 Fall Festival - available on the bolt and as a table runner kit. Best In Show - for our four legged friends! Available on the bolt. 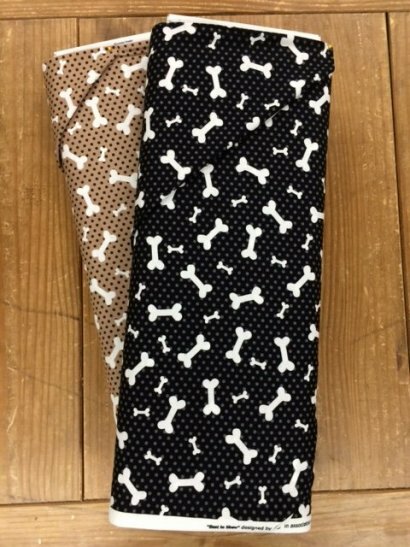 Great additions to our other dog fabrics. Thread Cutterz - A ring that cuts thread? With an easily adjustable strap and a dual blade, this thread cutter can be worn by anyone right or left handed! Why bother digging for your snips when you can wear this USA made product while you sew! This HOT new product is here in the store- Come give it a try! Ruffles and Rick Rack Apron Pattern- Mary stopped by from Alaska and showed us this adorable pattern. 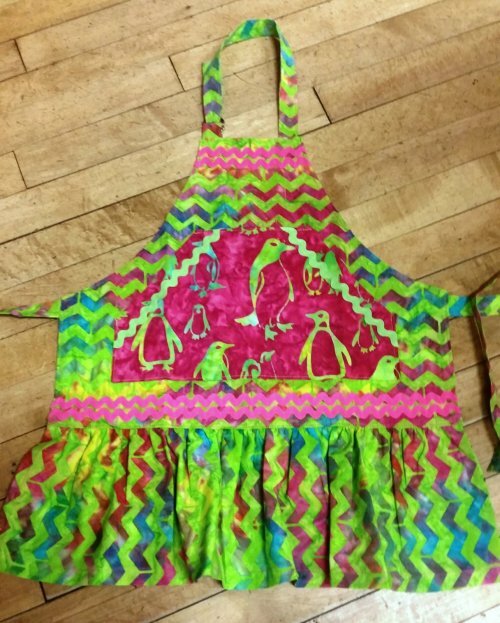 We paired it with our zigzag and penguin batiks for the cutest apron ever (the one pictured is a child's size 4-6). This pattern is quite versatile with adult and child sizes options included. 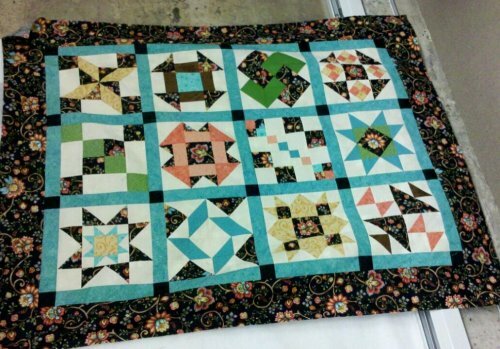 Watch for these upcoming kits: Ambleside Lap Quilt, Fall Festival Table Runner, Seashell Throw Quilt, Berry Stars, Mountain Rose and more!! Events: Mark your calenders and get ready for these great events! Sewing for Uganda Friday, June 6th at 6:00 p.m. - Join Rebecca Oberly and the MSQCo Staff in our classroom on June 6th for a great cause. Sewing for Uganda is an aid initiative focused on creating and providing women's health products for impoverished women in the East African Republic of Uganda. To help facilitate this effort, Main Street Quilting Co. will give a 25% discount on all cotton and flannel fabric purchased for this event. Please join us in using our sewing skills to help other women! Sewists of all levels are welcome to come help! If you have a serger and know how to use it, we sure could use your help! For additional information, please contact Rebecca Oberly at rebeccaoberly@gmail.com. Big Sky Shop Hop June 12th - 27th - Get your Shop Hop passports ready and join us in store to pick up the first mystery clue to the "Gone Quiltin" adventure. Please remember that each store will stamp passports and give clues for only those present in the shop. Be sure to sign up for our prize drawing as well during your visit! Fabric Swap Meet! Thursday, June 11 9am-7pm I've got piles in my sewing room of "What was I thinking" next to "I'll never use this" on top of a load of "I'm not ever going to finish this one"... It's time to clean it out!! I know you have those, too. Let's clean out our sewing rooms (cabinets, tubs and closets) and raise some money for a great cause all at the same time! We all win!! Please drop off items at the store between June 3- June 9. 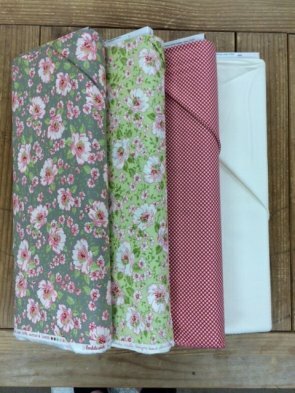 We welcome: Fabric, Kits, Notions, Trim, etc. basically anything crafty that you are ready to see leave your space. We are pleased that proceeds from this sale will benefit Haven- click the link for more information about this wonderful organization. www.havenmt.org. Help Wanted - We are currently in need of an individual skilled at blind hem stitching. 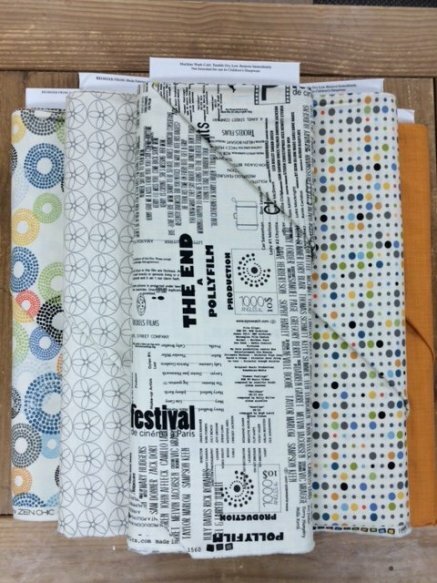 All of our samples are handmade, with each binding finished with a blind hem stitch. Currently, we could use some help finishing our stack of quilts! Please give us a call and ask to speak with Gwen about this opportunity.